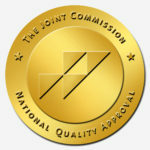 Joint Commission has awarded WTS the Gold Seal of ApprovalTM for health care staffing services. Worldwide Travel Staffing provides various specialties, including but not limited to, Interim/Permanent Managers and Directors, O.R. nurses, R.N.s, Surgical Technicians, CVOR Teams, Nurse Anesthetists, PACU, ER, ICU, Med/Surg, and Psychiatric Nurses. We place dietitians, occupational therapists, phlebotomists, physical therapists and more. We can provide staff within two weeks of your request. Worldwide Travel Staffing provides jobs for travel nurses in all 50 United States and the district of Columbia. Worldwide Travel Staffing has travel nursing jobs in Ireland, England, Saudi Arabia, Australia, and New Zealand. Worldwide Travel Staffing also has travel nursing jobs and opportunities in Guam, US Virgin Islands, and other various US Territories. CONTACT US with your staffing needs.